Why Have The Pinzon Brothers Been Forgotten and Columbus Remembered? Historical Expert Gary Knight Explains All! 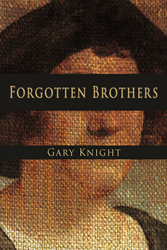 Columbus Expert: Gary Knight, author of the novel Forgotten Brothers. We all know history is written and remembered by the victors, but should that mean we completely toss aside the truth and those who are the real heroes? Author Gary Knight believes not! Knight says that a crucial meeting between brothers Martin and Vicente Pinzon, and Christopher Columbus occurred after the people of Palos burned Columbus’ ships, leading Columbus to approach Martin Pinzon, the cities top mariner for desperately needed help. Columbus offered a partnership to Martin Pinzon to head the operation for part of the profits. The Pinzon brothers and Columbus eventually became bitter rivals, with Columbus returning a victor and history regarding him as a hero, leaving the Pinzon brothers to be swept away in the tides. We should rewrite the History books and give credit where credit is due! Bio: Gary Knight is U.S. Naval Academy grad and former Capitol Hill staffer, a descendent of Spanish immigrants and has heard from his Spanish cousins for years the story of the Pinzon brothers. He has served as a lobbyist, a government relations professional, a city council member, a vice mayor, a contractor for the Department of Energy, an adjunct professor, an English tutor and a husband and father. He spent hundreds of hours researching “Forgotten Brothers” including some historical records out of print for over 150 years to verify the facts rather than the legends surrounding Columbus and the Pinzon Brothers. A life-long sailor, Knight and his wife Brenda, live on the water on the Chesapeake Bay. Please contact Allen Media Strategies' Erika Schaefer at erika(at)allenmediastrategies(dot)com or call (703) 589-8960.